Last week we discussed Avoiding emergencies as a work at home mom. This week we are going to discuss How I Make Money Online. When I was pregnant with my first son I was desperate to figure out a way to stay home. I knew that in order to do that I would have to increase our household income. But I couldn't figure out a way to do that and still be at home. See the cycle I was in?? My mother said something to me one day that made a lot of sense. "I think your career is going to be like a patchwork quilt. It will have many components." And she was right. There are endless income-earning opportunities online today. Of course, not all of those things will appeal to everyone. Here are some of the ways I earn money online. In February of 2012 I started my virtual assisting business. I had worked as a VA in a freelance position off and on for several years. But after Ryals was born I decided to launch my own business. I was able to find some really great clients right away who then referred me to other clients. It was great! However, I got tired of some of the more tedious aspects of VA work. However, I loved creating marketing materials, blog posts and social media strategies for my clients. I LOVE setting up marketing plans and helping them launch new products. SO I shifted from Virtual Assisting to Content Marketing. And while I have cut back on the number of clients I accept in that field, I love working with them and doing that type of work. This isn't something I do very often, but I do edit manuscripts. This work requires a lot of time and effort, but it's a great way to connect with other writers and pass creative ideas back and forth. Again, this work can be quite consuming and so I only accept one manuscript a quarter. This is where the bulk of my income comes from and honestly I love the process. I love connecting with my readers. I love writing on a weekly basis. I love the creativity of it. But it's not easy money. 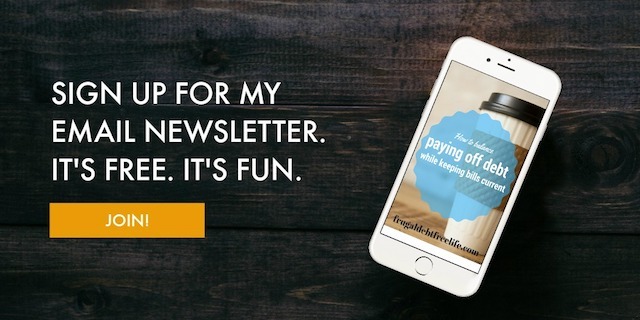 I cannot tell you how many emails I have gotten from people wondering how to make money blogging. While it certainly can be done, it's not a get rich quick situation. It takes a lot of time, effort and work. You have to write, edit, promote and repeat on a daily or near-daily basis. And unless you are just a HUGE blogger with huge monthly numbers, blogging will always be just one component of your business plan. Next week I will talk more about HOW I make money blogging and later I will talk about HOW I increased my audience form must 4,000 visitors a month to 90,000 visitors a month. I have written a couple of ebooks which you can read here and here. I do make royalties off of these books when purchased. I do offer limited coaching and consulting services for business owners who can't or don't need to hire a content creator long haul. I help talk people through ideas and create marketing strategies for them. There are so many affiliate marketing opportunities. My favorite is, of course, Amazon. They have a great affiliate program for bloggers. Simply place links to products you love in your blog post, or share them on social media. Of course, you always have to disclose that you will earn a percentage of the sale at no extra cost to your readers.